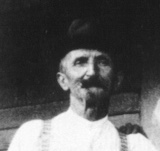 This entry was posted in 52Ancestors, Bowen, Stanhope and tagged 52Ancestors, family history, genealogy by dave. Bookmark the permalink. 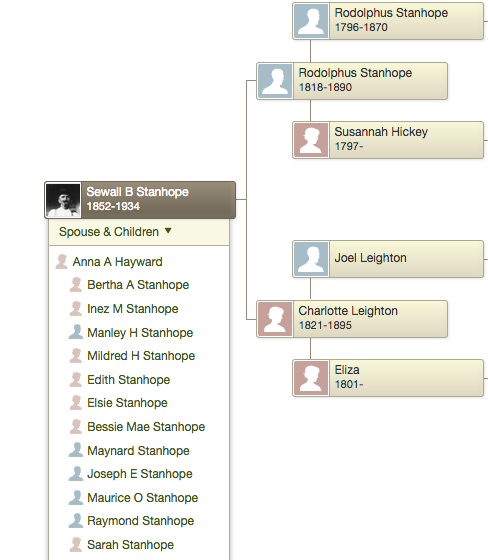 I, too, am a great-great-great-granddaughter of Charlotte Anne Leighton and Rodulphus Stanhope, Jr. My great-great grandmother was Cordelia Anne Stanhope, who was married to James Stuart/Stewart, of Charlotte, QC ~ sister to Sewell, among others. My great-grandmother, one of Cordelia’s daughters, was Elizabeth (Eliza/Liza) Jane Stuart/Stewart. Eliza Jane Stuart married Charles Augustus Nadeau, and had three daughters ~ my grandmother and my two great-aunts. There is a story on when and why my great-grandmother changed the spelling of her name from Stuart to Stewart ~ I’ll tell you next time!